The sharing economy is taking off. From homes to cars and from bikes to parking spaces, we are, increasingly, willing to share what we own with others – for a price. The global average of people who are willing to share their assets is 68%, while 66% are willing to borrow from others. Some 25% of the US adult population have used Uber, 20% Etsy and 6% Airbnb. The average spend of adults on Airbnb is $114; on Task Rabbit $83; and on Instacart, 65%. 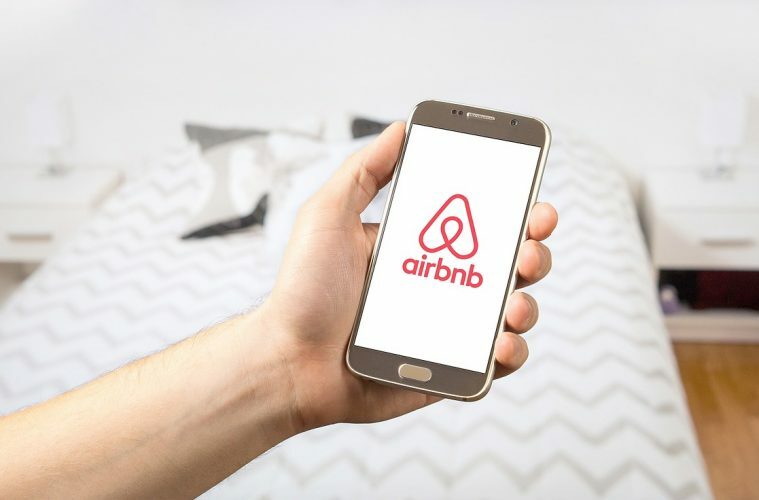 Although homes on Airbnb are the best well-known form of the sharing economy, everything from vehicles to industrial equipment and any other peer-to-peer service such as dog-sitting can be metered out via renting or sharing. Behind the sharing revolution are technology companies, some worth billions of dollars, that have made websites and apps in which you can list and rent property, cars and much more. Some of these companies have achieved sky-high valuations by charging exuberant fees for the service they provide: the facilitation of sharing. There are alternative providers which have created smart platforms that enable the safe and easy sharing of any asset, and all the legal complexity that comes with it. The RxEal platform, for example, provides an escrow service for deposits that can help asset owners, renters and P2P sharing platforms. The benefits to all are numerous: increased transparency, operational efficiency and reduced legal liability and administrative or bookkeeping costs. Using a platform such as RxEal will essentially cut out the middle man and the fees associated with sharing your asset. There are many more reasons to consider using a smart escrow service to share your asset. For instance, RxEal enables smart tracking. The deposit for any asset is stored in a smart contract throughout the rental period, or until both parties agree to end the period, and the money is separated from both the owner and the renter’s account. This solves the problem of commingling of funds, which is actually illegal in some US states, particularly in real estate, as it can become difficult to decipher the deposit from any other funds in a bank account. This smart solution will therefore help all parties involved to avoid potentially costly legal disputes, which would slow down the renting process and just be a pain for everyone. In addition, the RxEal platform helps people to avoid the problem of an asset owner accidentally spending money that is commingled, or doing so on purpose if they run into financial difficulty and are tempted to use the deposit to get out of a tight spot. In either instance, there may not be any money to return to the person who is renting the asset when the lease is up. RxEal ensures the deposit is stored safely in a smart contract, and the asset owner has no ability to access those funds. Legally, they have no right to, so this can be enforced if need be. When sharing homes, in some jurisdictions, landlords must collect and return to the renter every cent the deposit earns in standard interest from a bank. But this is difficult to track and calculate. RxEal’s solution is to store the deposit in Ethereum, a possible investment vehicle, or the more stable token, Dai. In either case, the deposit is recorded in number of tokens rather than value. Exactly the same number of tokens are returned to the renter, so any interest is automatically included. Another concern asset owners have with sharing economy sites such as Airbnb is damage to property, or any other asset. For renters, the concern is the right for the owner to claim compensation for the damages, even if they are minor or accidental. With a website like Airbnb, the owner of an item that is rented out can claim money for repairs or replacement costs. But this system is limited because it is centralized — all claims have to run through the site. With RxEal, we offer a decentralized system in which no one party can gain control of the deposit. A fair process to assess each claim is conducted, based on predefined conditions that are specific to each industry or region. This arguably solves the trust issue that has dogged traditional sharing economy pioneers like Uber. RxEal’s smart contracts mean no money is handed over via a security deposit to the other party, which stores it – we are a trusted broker or steward of the funds. Our platform will replace legal fees with a decentralized dispute resolution system; challenges are resolved quickly by independent and qualified arbitrators within the RxEal platform. The sharing economy is indeed taking off but with more trust and efficiency, the RxEal solution may provide a platform for sustainable growth for the growing number of us who want to share our stuff.